Ensuring that your will is properly written and structured is critical for the will’s terms to be carried out in the manner you wish. Failing to properly distinguish probate from non-probate assets is a big mistake that could lead to your dispositive provisions being named ineffective. Probate property can be defined as items that are directly owned by you without a legally recognized designated beneficiary. Jewelry, family heirlooms, artwork, or bank accounts without a designated beneficiary to be paid on death are examples of probate property. On the other hand, non-probate property is those assets which include a legally recognized beneficiary to be paid on your death. Property held in joint tenancy or bank accounts with a designated beneficiary are examples. Why does this matter? 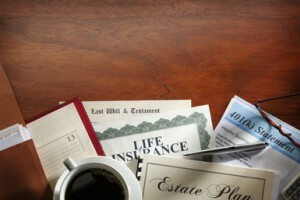 Non-probate assets will not pass through the terms of the will. This means that if you outline wishes in your will for one person to receive all the assets, but your non-probate assets state another beneficiary, the terms of your will “surrender” to those beneficiary designations. This could have the unintended consequence of your planning falling through. To learn more about the differences with assets, and how you can properly outline your wishes or create trusts to detail how these items are passed on, contact our offices today for a consultation. Call us at 732-521-9455 or through email at info@lawesq.net to begin.